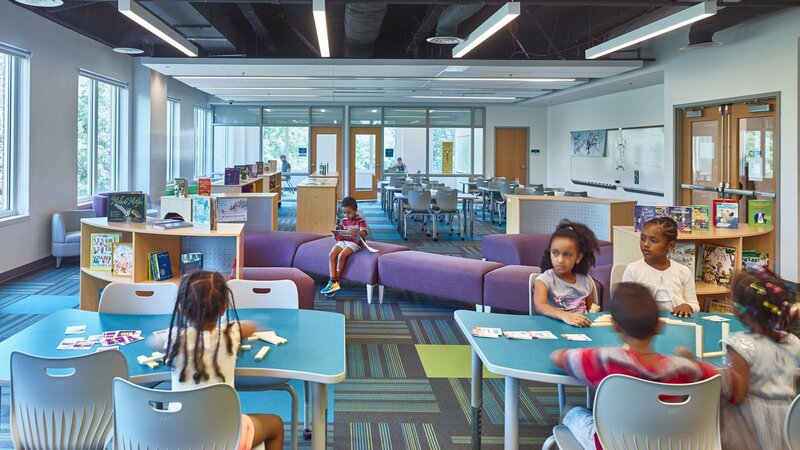 Student enrollment in Alexandria, Virginia has continued to grow, creating a shortage in seats for students. 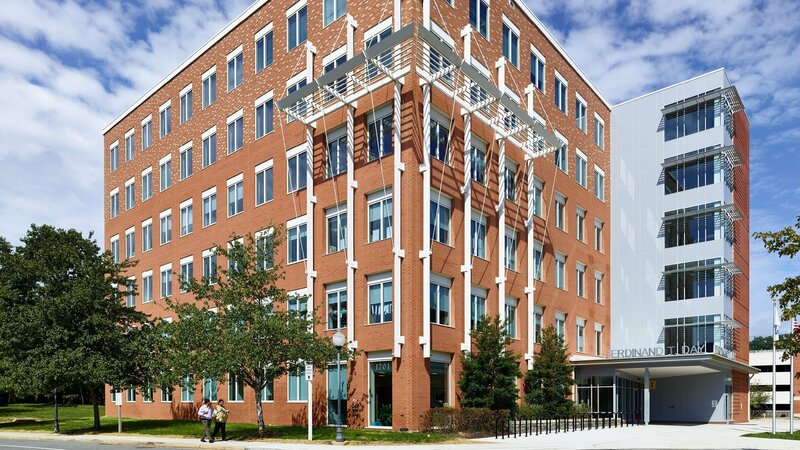 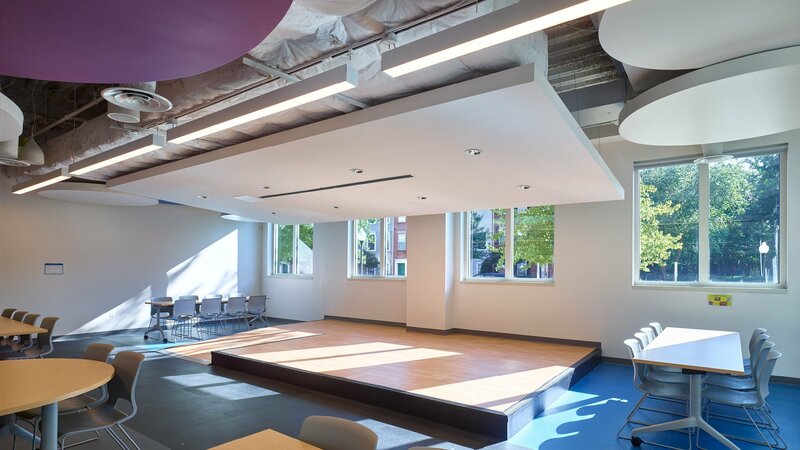 As part of the capacity expansion, Alexandria City Public Schools (ACPS) purchased an existing office building and adjacent parking garage to retrofit to transform into a new STEM-focused K-5 school. 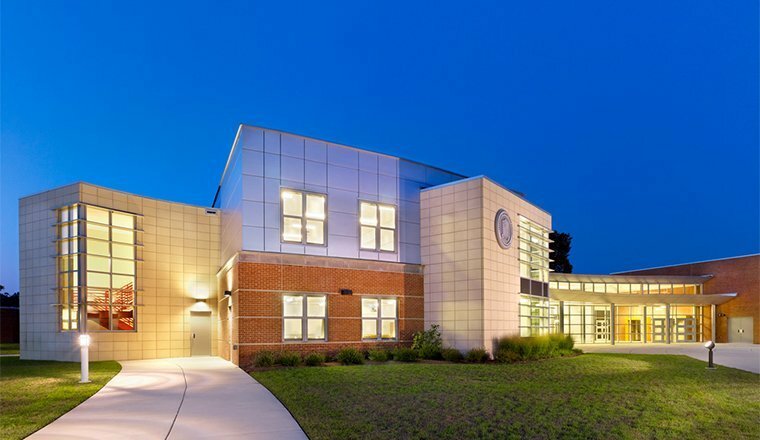 The building was modified from an exclusive office use to a new learner center Elementary School. 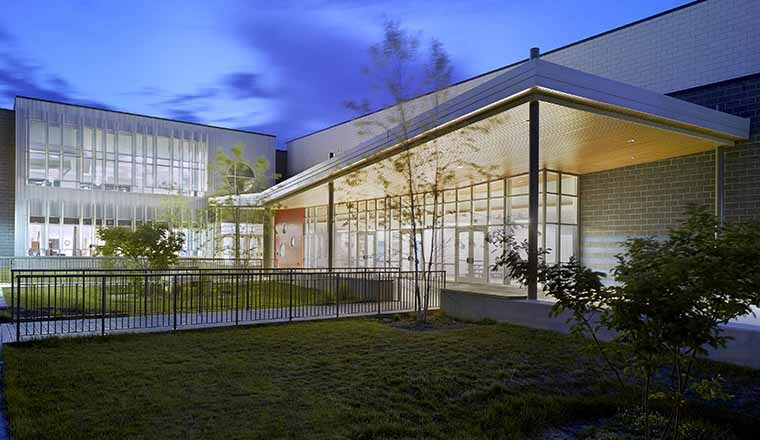 ACPS and HCM engaged the community in the planning of the project, developing a modern, energy efficient school that incorporates the latest technological advancements and best practices in educational design. 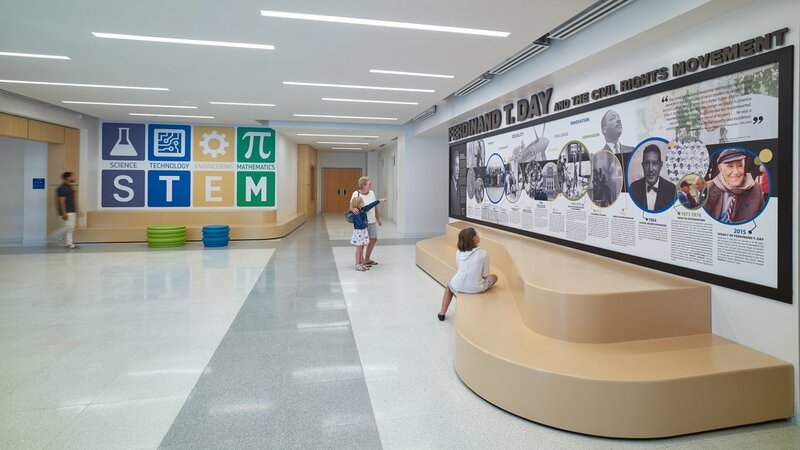 The $22 million LEED Silver facility’s lower four floors are designed as the new elementary school and the top two floors will serve as office use. 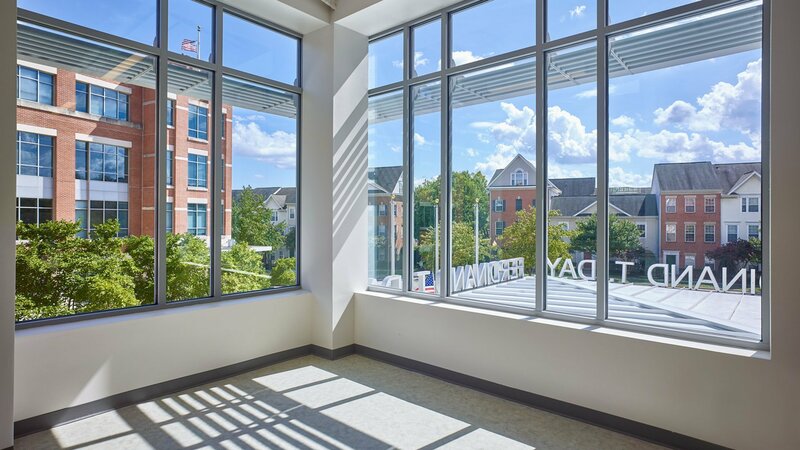 The 125,856 sf building serves approximately 650 students with a new entry lobby for the school and a separate entry lobby for the office floors. 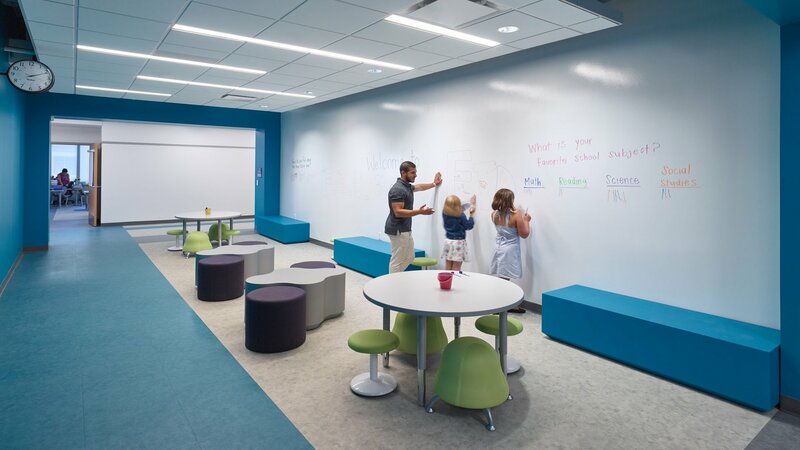 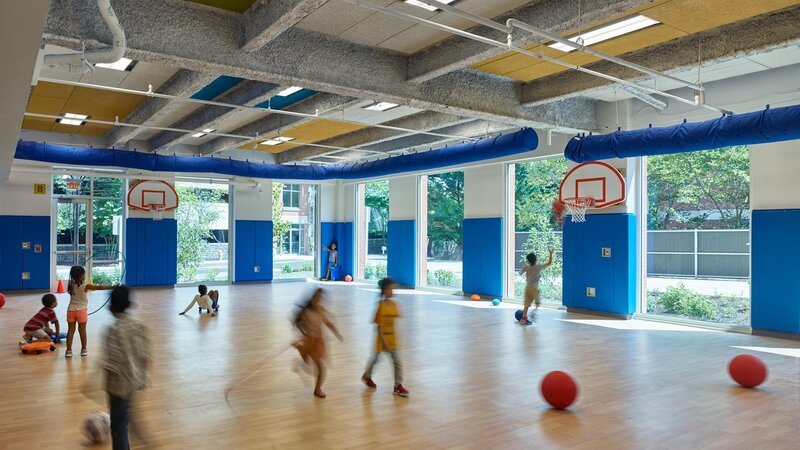 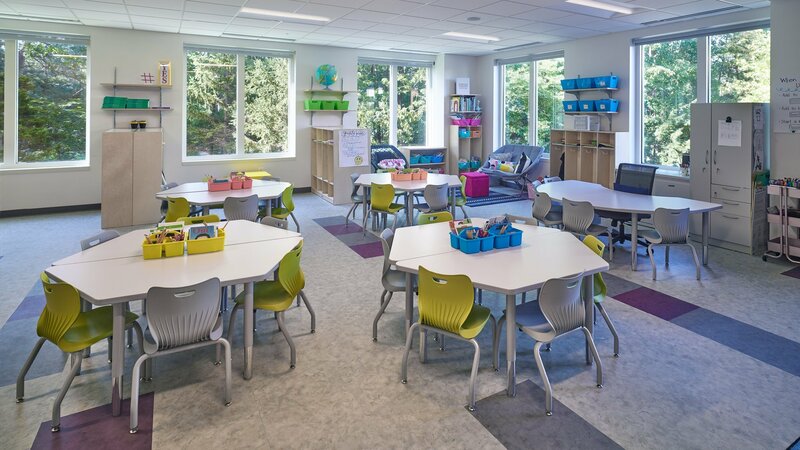 The project includes 25 classrooms, 10 informal extended learning areas, cafeteria and kitchen, visual and performing arts, a physical activity room, and a library. 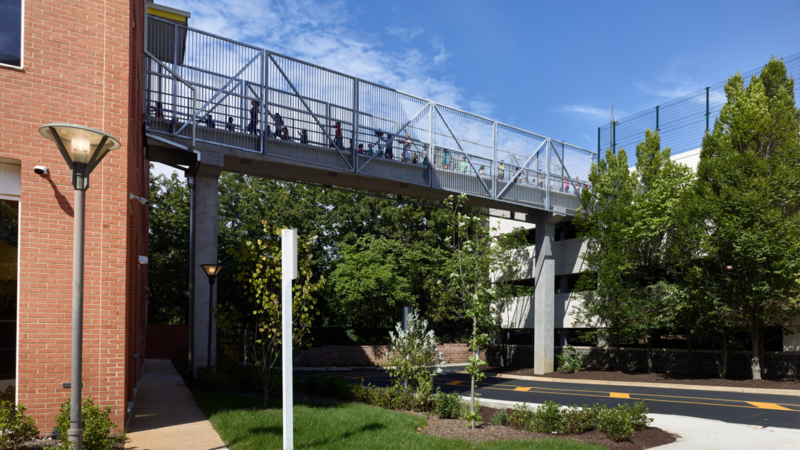 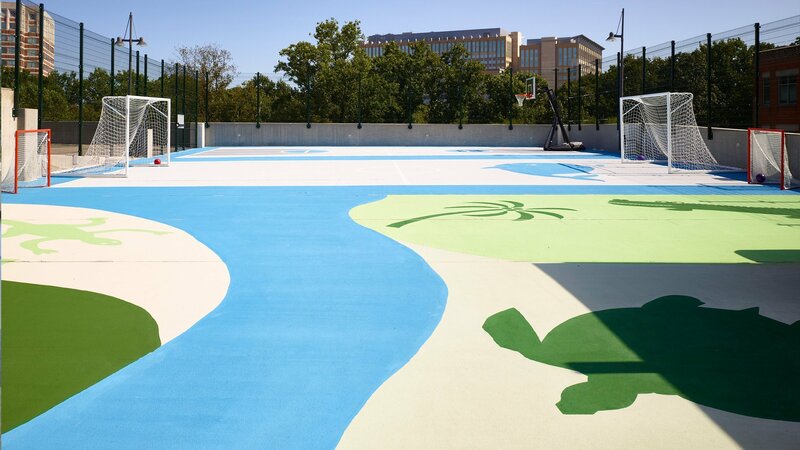 Outdoor play space is provided on the top level of the parking garage and is connected to the school by a new dedicated pedestrian bridge. 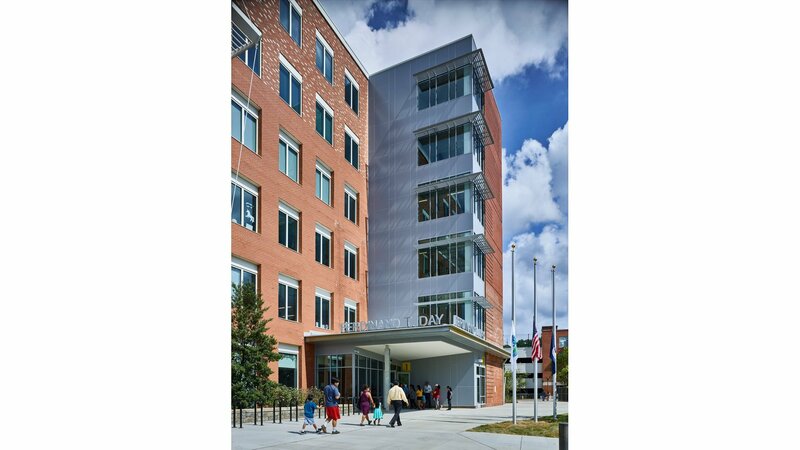 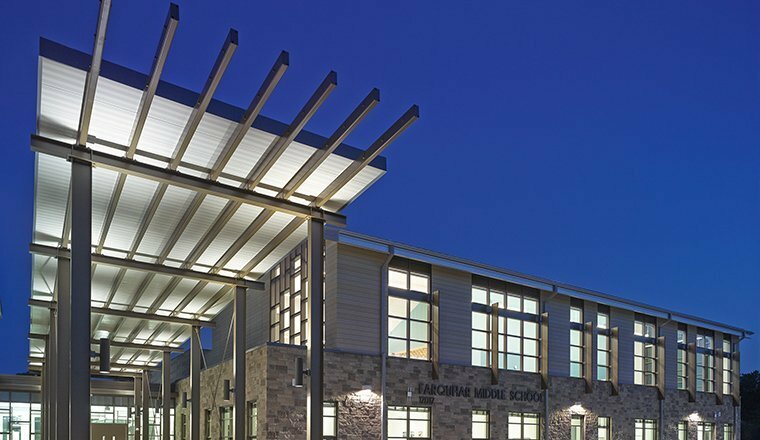 The design and construction was completed within a tight schedule of twelve months to meet ACPS’ aggressive scheduled opening for the 2018-2019 school year.